�Connors State College�s nursing program is one of the best in the state, which is evident by its graduation rates. The CSC Nursing program under the direction of Charlotte Vaughn has consistently surpassed both the Oklahoma and national graduation rates for a nursing program. The first time National Certified Examines Registered Nursing candidate pass rate for the state of Oklahoma averages 86.77 and the national pass rate is 87.42 for 2010. Connors State�s 2010 NCLEX-RN pass rate was a phenomenal 95.80. 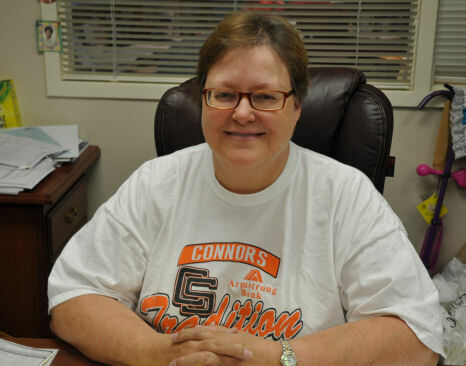 Over the past 10 years Connors has registered 100 percent graduation for the program four times. �Connors is highly regarded among the other schools and one of the things we do that help people see how the school functions is its pass rates,� said Vaughn. The nursing program which began with 20 students in the mid-80s now has two classes each year of 48 students at the Mike Synar Center located on the Muskogee campus, according to Vaughn. It�s an associate degree program that covers the basic education requirements, plus health science. Students can then enter into the nursing program and they receive the training for requirements to meet the Board of National Requirements for testing. Vaughn said they encourage students to continue their education to a 4-year school to obtain a bachelors degree in nursing. But once they leave Connors they are very employable and usually have a job if they do not wish to further their education,� said Vaughn.